Fight nasty creatures in search for loot, learn Italian, and improve yourself with today’s collection of apps and games. Better Habits: Habit Tracker ($3.99 → Free, 37.6 MB): Be a better you with Better Habits. Those who want to change their way of life. Better Habits helps you take the steps to better your life. Start off by creating a list of things that you’d like to start doing, stop doing, or get better at. Each entry can include a difficulty level, time to complete, and reminder. Then whenever you perform the habit, simply tap the rep button to make progress towards forming it. If you fail to perform the habit, however, you’ll lose portions of your progress. Once a habit’s rep meter has been filled, you can choose to continue on a higher difficulty level or simply consider it formed. Better Habits: Habit Tracker is available for free for a limited time. It has a 4.5-star rating with a total of 186 ratings. Dungelot: Shattered Lands ($3.99 → Free, 384.1 MB): Go dungeon crawling in search for loot in Dungelot: Shattered Lands. Fans of casual roguelike games. From evil zombie cows to menacing mushrooms, Dungelot has everything you could ask for from a roguelike game. Just tap on sections of the grid to reveal what lies beneath. You may be surprised with loot, action tiles, an enemy, or a key to unlock the next level of the dungeon. Continue your journey until you eventually run out of health or are able to return back home in one piece, and then use whatever loot you acquired to build up your character for another run. The game includes four character classes, three worlds to explore, and 18 dungeons to fight through. Dungelot: Shattered Lands is available for free for a limited time. It has a 4.5-star rating with a total of 1022 ratings. Learn Italian – MosaLingua ($4.99 → Free, 45.0 MB): Learn Italian in no time with this language app. Everyone from students to frequent travelers. 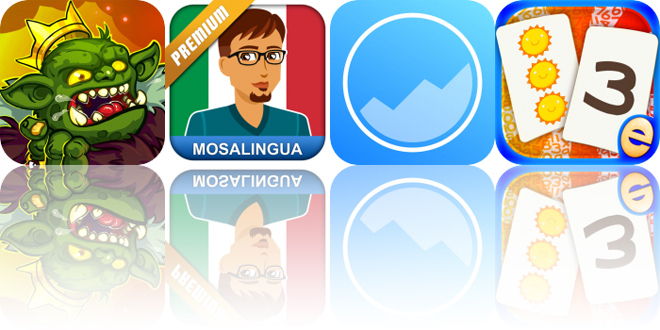 MosaLingua will help you memorize thousands of Italian vocabulary words, key phrases, and conjugations in no time. All it takes is five minutes each day for two months and you will have memorized 600 words and key phrases. Nothing to it, right? 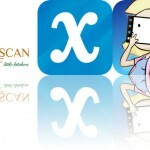 The app utilizes a flashcard system with audio pronunciations by native Italian speakers. MosaLingua includes more than 3,000 flash cards, 14 categories, more than 100 subcategories, and the ability to unlock fun bonus content. Learn Italian – MosaLingua is available for free for a limited time. It has a 4.5-star rating with a total of 75 ratings. Number Games Match Fun Educational Games for Kids ($3.99 → Free, 44.6 MB): Designed with your little one in mind, this educational app focuses on number identification, counting skills, and color matching. Perfect for parents with children in kindergarten. The app is loaded with fun and colorful items to count and match. Depending on their ability level, your child can either play with cards face down or face up to make things easier. Hints are also available if need be. The game includes professional narration for every included item, positive reinforcement, and parental controls. 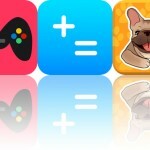 Number Games Match Fun Educational Games for Kids is available for free today only (07/26). It has a 4.5-star rating with a total of 36 ratings.